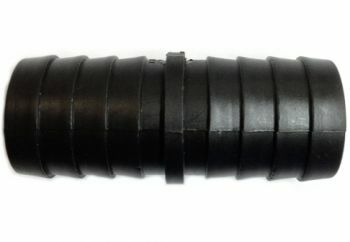 Barbed inline joiner for connecting 3/4" (20mm) internal diameter flexible hoses. Ideal for use with all Water Garden 3/4" (20mm) Flexible Hoses. Recommended SK19 Stainless Steel Hose Clips are used to secure.